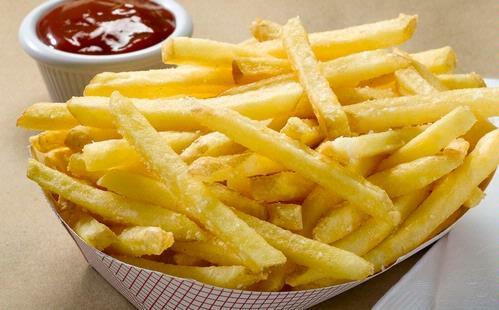 Eating foods that contain trans fats are high, not only makes a person at risk of heart disease, but also increase the risk of developing depression, according to research scientists in Spain. Trans fatty acids (trans fat) is a type of fat that is on artificial forms of pastry products and fast food. Most trans fats are artificially synthesized by a chemical process that adds hydrogen to vegetable oil. In simple language, this means changing liquid oils into solid fats. Researchers from the University of Navarra and Las Palmas de Gran Canaria, in the latest search state trans fat can trigger depression. The results of this study confirm the results of several previous studies that have shown the devastating impact of these fats in the body. In his research, researchers monitor and analyze trends in diet and lifestyle is about 12 000 participants for 6 years. At the beginning of the study, no diagnosis of depression, but at the end of the study, a total of 657 volunteers have registered with a new. “Participants who transnya fat intake has increased to 48 percent increased risk of depression than those who do not eat fatty foods contain this type,” said research. Almudena Sanchez-Villegas expert in preventive medicine at the University of Las Palmas de Gran Canaria said, the more trans fat when consumed, the adverse effects that arise for participants. The study, published in the journal PLoS ONE online version, also noted that the study was conducted on European populations are relatively low in trans fat mengasup is, only 0.4 percent of the total energy required of the participants. “However, we found an increased risk of developing depression by 50 percent,” said researcher Miguel Martinez. “Based on these results, we encourage the importance of taking into account its impact on the U.S. to countries such as the percentage level of account types fat intake for about 2.5 percent,” at he added. According to the research report, the number of people suffering from depression worldwide now stands at 150 million people and this figure has increased in recent years. This increase, the researchers said, was caused by a radical change in the source of fat in the diet diasup west, where a number of specific types of fat that is beneficial polyunsaturated fatty acids (polyunsaturated fats) and monounsaturated fatty acids (monounsaturated ) in nuts, oils, fish oil and vegetables – has been replaced by saturated fats and trans fats in meat, butter and other products such as pastries and fast food. Is it true that Omega-6 Trigger Heart Disease? Get free consultation on buy Champix online, and increase your chances of quitting smoking.